We're pleased to announce that Source for Sports® is now the “Official Equipment Supplier” of the NHLPA Goals & Dreams Game Changer Award program. May 16, 2012 – The National Hockey League Players’ Association (NHLPA) is pleased to announce that Source for Sports® is now the “Official Equipment Supplier” of the NHLPA Goals & Dreams Game Changer Award program. The NHLPA Goals & Dreams Game-Changer Award assists individual families who find themselves in unique financial situations due to economic or social reasons such as job loss, divorce and more. As the official equipment supplier for this award, Source For Sports® will fit and supply the hockey gear for these deserving applicants. “We have deep roots in our hockey communities right across Canada, and this partnership with the NHLPA will allow children to continue the hockey tradition that many of us enjoyed growing up”, says Brad Hause, President of Source For Sports®. Source For Sports® (www.SourceForSports.com) will also assist with fulfilling NHLPA Goals & Dreams equipment grants, beyond those included as part of the NHLPA Game Changer Award Program. “We are excited to partner with Source for Sports to help even more children play the great game of hockey.” Said Devin Smith, Chairman of the NHLPA Goals & Dreams fund. “This new partnership will provide children the joy of walking into a Source for Sports® store to pick out brand new gear”. NHLPA Goals & Dreams assists volunteer-based grassroots hockey programs that help deserving children play the great sport of hockey. 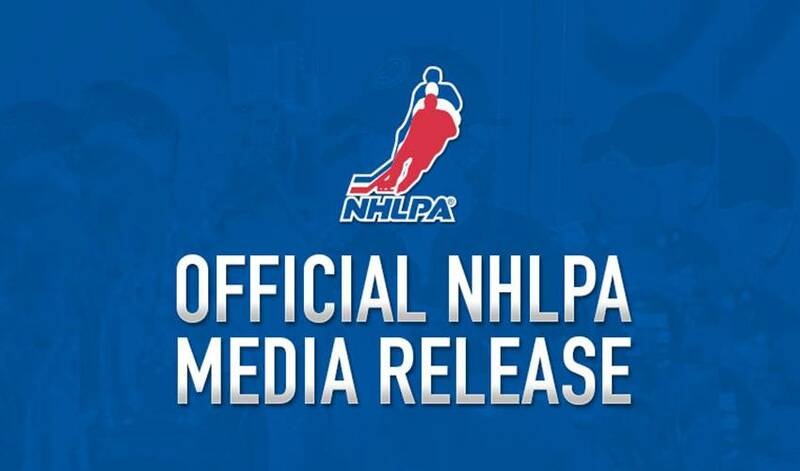 NHLPA members and Source For Sports® share in the belief that more children should have the opportunity to play hockey, a sport that educates players in teamwork, commitment, discipline and physical fitness.